U.S. during 2015 to 2018. Estimates of the number of Wiccans in previous years is available in the previous essay. The ARIS study in 2008 which was described in our previous essay. However there might be a way to estimate the recent growth of Wicca by looking at the number of books published during a specific year that contain "Wicca" in their title. If the number of Wiccans is increasing, then one might expect that the number of books in print about Wicca would also increase. We did a search of the book section of the Amazon.com web site for the occurrence of "Wicca 2008" and found 395 books published in that year. We then repeated the search for the following years, 2009 until 2016. There was an amazing increase in the number of Wiccan books published over the past eight years: about 4.6 times. This may imply that Wicca increased in membership between 2008 and 2015 by a similar factor. We conclude that the best estimate we can make, based on inadequate hard data, is that the number of Wiccan adults in the U.S. had increased from, 602,000 in 2008 to two million by the end of 2015. If one were to include teens, which religious surveys generally don't, we estimate over three million Wiccan practitioners were active in the U.S. by mid-2018! This increase to three million adult Wiccans is surprising but is still a reasonable value. The ARIS study found that the number of Wiccans more than doubled in the seven years between 2001 and 2008. So a further increase by a factor of 4.6 times in the next eight years between 2008 and 2016 may seem at first glance to be a bit of a stretch, but is believable. Although there have been dozens of estimates of the Wiccan population in the U.S., almost all are based on guesswork. In order to obtain a more reliable estimate in the future, it would be necessary for a polling agency like Pew Research to do another study with a sample size in excess of 50,000 and to treat Wicca as a distinct religion rather than lump it together with other faiths in a category like "New Age." Hopefully, this will happen. Barring that, perhaps they might publicize the Wiccan population separately and explain that it is only a rough estimate. A rough estimate would be much better than no estimate at all. If there are over two million U.S. adult followers of Wicca in the U.S., then they would represent the second largest religious faith group, way behind Christianity and significantly more common than Judaism. Christianity: 70.6 million adults; this number is dropping by about 1 percentage point a year. "NOTAs" (No particular religious affiliation): 15.8 million. This number is increasing almost 1 percentage point a year. Our estimate of two million adult practitioners of Wicca in the U.S. during 2015 was, to us, an unexpectedly high value. After all, it would place the number of Wiccans as exceeding the numbers of followers of such established faith groups as: Judaism, Islam, the Society of Friends (Quakers) (217,000), the Baha'i Faith (84,000), and Sikhism (57,000). 1 However, it could be an accurate value. Wiccans have little direct, visible impact on society. Perhaps half are solitary practitioners and perform their rituals in isolation by themselves. Others are members of covens who generally keep a very low profile. Although groups of Wiccans meet with each other in covens and perform rituals together, they generally gather in one of the member's homes, not in a church-like setting. Pew Research has provided the first hard data on the number of Wiccans and other Neopagans since 2008. They found that 0.4% of Americans or about 1 to 1.5 million people, identify as Wiccan or Pagan. However, in reality, the people that they were actually counting were only the number of Wiccans and other Neopagans who were willing to admit their religious faith to a stranger over their telephone who claimed to be from a polling agency. With the degree of religious animosity still existing in the U.S., we suspect that the estimate is much less than the actualnumber because a significant percentage Neopagans would not respond accurately to the poll. This reluctance is also seen among Atheists. Conventional polls indicate 3 to 11% of U.S. adults admit to being Atheist. However, an innovative polling technique estimated the actual number of Atheists without requiring them to admit to being Atheist. They found that found that 26% of U.S. adults are Atheists. More than one in four adults, and more than twice the number who would respond truthfully to a stranger over the telephone! Hopefully, Pew Research will hold identical polls using the same question in future years, so that an estimate of the Wiccan growth rate can be made. "It makes sense that witchcraft and the occult would rise as society becomes increasingly postmodern. The rejection of Christianity has left a void that people, as inherently spiritual beings, will seek to fill. ... Plus, Wicca has effectively repackaged witchcraft for millennial consumption. No longer is witchcraft and paganism satanic and demonic. It's a 'pre-Christian tradition that promotes free thought and understanding of earth and nature." In reality, Wicca has never been "satanic and demonic." However, many Christians have identified it as such, particularly in the past. Wicca is actually an attempted reconstruction of an ancient Celtic, pre-Christian, Earth and nature-centered religion. Roys' reference to "rejection of Christianity" refers to the percentage of Christians in the U.S. This number is declining at about one percentage point a year. "As mainline Protestantism continues its devolution, the U.S. witch population is rising astronomically. There may now be more Americans who identify as practicing witches, 1.5 million, than there are members of mainline Presbyterianism (PCUSA) 1.4 million. 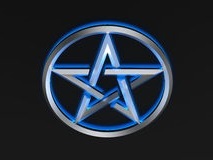 "Wicca today has most of its followers in the US. ... Those who believe it is an American phenomenon may be forgiven." "American Religious Identification Survey (2001)," Trinity College, 2013, at: https://commons.trincoll.edu/ This essay contains a link to download a PDF file of the survey results.